Stunning visuals, realistic textures, easy-to-install formats and powerful performance features make luxury vinyl all the rave right now. Don’t be surprised to see luxe vinyl in family and living rooms, children’s bedrooms and nurseries, home offices, workshops and more. No matter what you call it - LVT (luxury vinyl tile), LVP (planks), WPC (wood plastic composite) or SPC, MLF (solid polymer core, rigid core multi-layer flooring) - luxury vinyl adds realistic designs and stunning visuals to powerful performance for an unbeatable high-end floor. Most LVT, WPC and MLF planks are about 4 feet long and varying widths from 4½ to 7 inches wide. 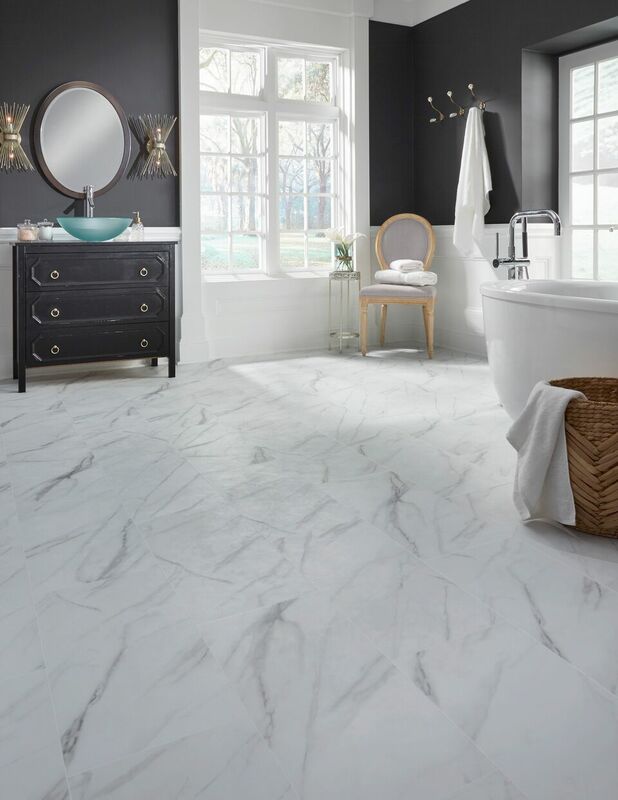 LVT tiles come in various sizes, mostly squares although some rectangles are coming into fashion because of the design flexibility they offer. These tiles come in sizes from 12 inch squares and up to 24 x 24, and soon probably even larger. WPC and MLF offer the same design flexibility as other luxury vinyl products but with superior performance against denting. These rigid board constructions provide better protection against water and flooding and are priced at the higher end. Manufacturers tend to reserve their best designs for their high-end products and right now, WPC and rigid core MLF sit at the top of the luxury vinyl market. That's where you'll find the best looking floors. Many feature click installation systems that make them a definite candidate for an easy DIY installation. The added dimensional stability and dent resistance of both WPC and rigid core MLF products make them very forgiving when it comes to subfloor imperfections which allows you to install them over existing flooring. 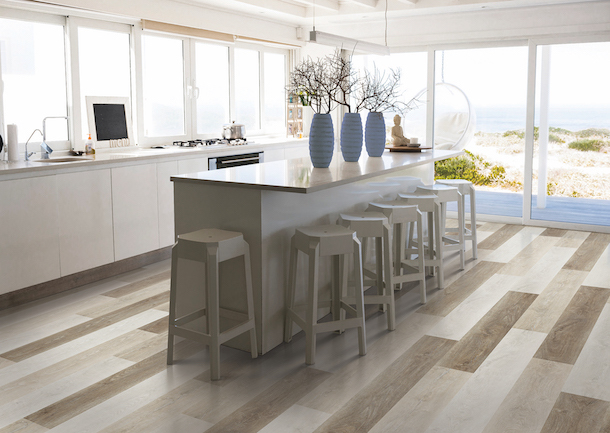 There’s one more dimension to LVT – both plank and tile – they can be grouted! Yes, putting a grout around an LVT tile makes it look as realistic as any ceramic tile or stone floor. Even for wood looks, grouted LVT planks lend a very sophisticated element to visuals that often look like natural hardwoods. Take a fresh look at Luxury Vinyl – you’ll definitely be impressed!